“How to Navigate Through the Will of God in Your Life” Continues This Sunday! I want to challenge you to not miss this Sunday. This will help us grow and be more of what God wants us to be in our lives. Bring someone with you. The Cross Church Family is nearing the completion of this 15-week financial goal of $6 million. Through this past Sunday, Week 14, we have received $5,683,520. Therefore, we are only $316,480 from reaching this needed and special goal to fund all the ministries through the challenging weeks of the summer from Memorial Day Sunday through Labor Day Sunday. Therefore, let’s pull together, make sure we each give this Sunday regardless of where we are located, and let’s give together at least $316,480. This begins with you and me, honoring the Lord with at least one tenth of all He has entrusted to us. Each gift, small or great in your eyes, is important to God. Thank you for all you have given through this Sunday. You are a phenomenal people of God. Did you know that on Wednesday evening, August 22, we had just under 5,000 people involved in all of our ministries? A total of 170 indicated their desire to follow Jesus Christ as Savior and Lord while the others were discipled in their faith. If you would like to be involved in some way on Wednesday night, go to crosschurch.com and view the campus activities. 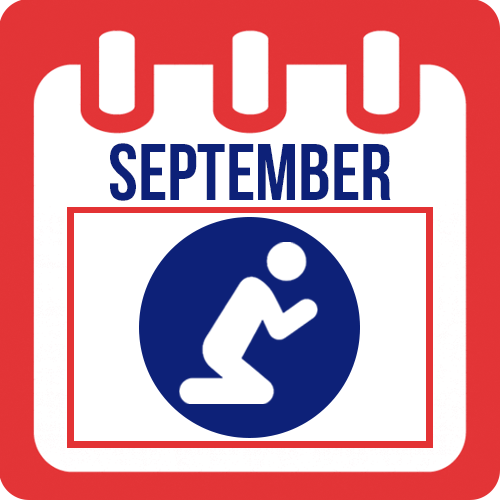 Would You Join Us This September in Praying for America? Please join us in praying for America this September. 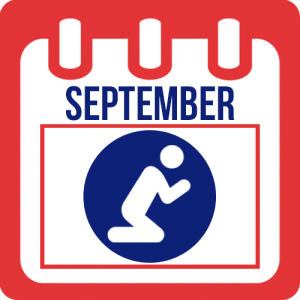 Here are 3 Prayer Priorities for America for the month. Please mobilize others in your business and personal relationships to join us in praying for America. Anyone can do this, so please join us in this important endeavor.